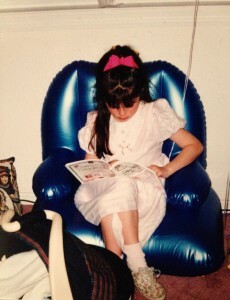 In 2002, as an eleven year old bookworm struggling with depression, I read about J.K. Rowling and her determination to get Harry Potter written during difficult times. 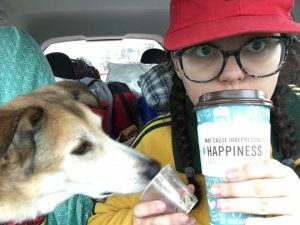 While anxiously waiting for the next book (Harry Potter and the Order of the Phoenix) to be released the next year, I threw myself into writing stories so that I could be just like her. In more recent years, learning how much more there is to the Wizarding World than what I originally read or saw on the big screen has only cemented J.K. Rowling’s spot on my list. In 2009, when I was away at college for the first time, my friends introduced me to Joss Whedon’s Dollhouse. That first year of college was a struggle, and some of the best moments were when I would curl up on a couch in the common area with my friends to lose myself in Echo’s story. I quickly became obsessed with finding anything created by Joss Whedon, and I admire the way he is able to craft stories that take your mind, as well as your emotions, on crazy adventures. In 2013, while struggling with once again having moved away from everything I knew, I was introduced to A Song of Ice and Fire & Game of Thrones. The depth and detail of George R.R. Martin‘s world amazed me, and he quickly became my third writer role model. 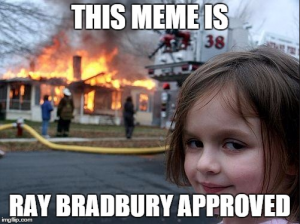 Ever since reading Fahrenheit 451 in a literature class as a high school junior, Ray Bradbury has been one of my favorite authors, and one of the people I quoted most often. 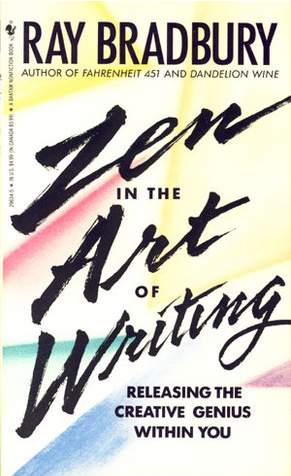 Yet, somehow I didn’t “officially” add him to my list of “writer role models” until the end of 2015, when I finally read Zen in the Art of Writing. 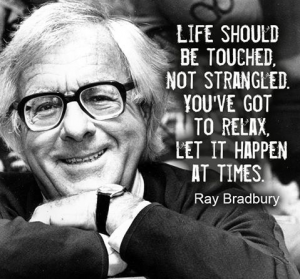 Zen in the Art of Writing is a book of essays by Ray Bradbury on life, creativity, and of course, writing. Although it is a small, fairly quick read, it took me several days to finish the book. The way this book spoke to me, I had to put it down after each essay to allow my awe to settle down a bit. Second, writing is survival. Any art, any good work, of course, is that. As soon as I read that excerpt in the preface, I knew I would have to get a copy of this book so that it could remain on my shelf forever. 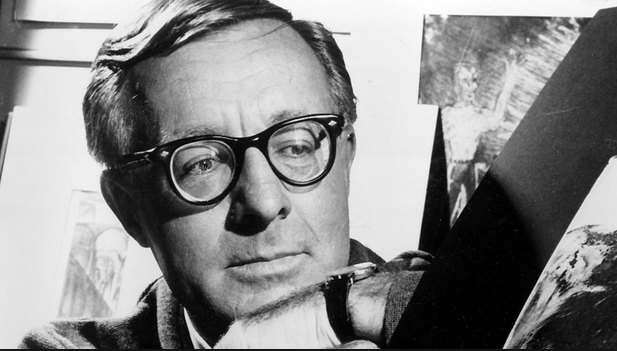 Then, just a few pages into the first essay, after discussing the need for the rarely used words “zest” and “gusto” in life, Ray Bradbury was officially one of my heroes. What do you want more than anything else in the world? What do you love, or what do you hate? Find a character, like yourself, who will want something or not want something, with all his heart. Give him running orders. Shoot him off. Then follow as fast as you can go. The character, in his great love, or hate, will rush you through to the end of the story. The zest and gusto of his need, and there is zest in hate as well as in love, will fire the landscape and raise the temperature of your typewriter thirty degrees. 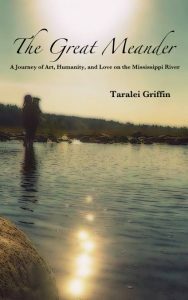 It is possible that you will read this book and believe I am exaggerating how amazing it is. 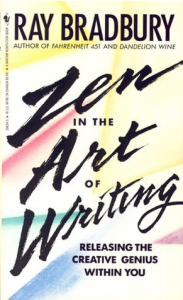 Until I read Zen in the Art of Writing, I felt very alone in my views on how art and creativity fit into life, especially as I had been unable to put those views into words. In this book, Ray Bradbury had written down the words I’d been waiting to read. To sum it up: Whether you are at a high point or a low point on the roller coaster of life, live your life with passion, zest, and gusto, and continuing creating what makes you happy. If you do, I think you might easily find a new definition for Work. This review was written as a part of my Before 25 Bucket List. 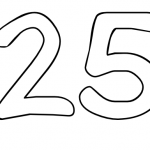 It was the 7th book I read from my list, and there are only 47 days until I turn 25. Stay tuned for more reviews!